Odisha is one of the few unexplored states of India & treasure house of culture, art and architecture, as well as scenic beauty. It has successfully preserved the wonders of her magical land secretly from outside’s influence. One such treasure house is Dakhya Prajapati Temple at Banapur which is around 104 kms from Bhubaneswar & a place of great religious centre due to presence of Maa Bhagabati temple. It was once the capital of the Sailodbhava dynasty, followers of Shaivism & Buddhism, who were responsible for the construction of the early group of temples at Bhubaneswar. Dakhya Prajapati Temple is on the right side of Balugaon-Bhagabati Temple Road in Banapur town and is about 5 kms west of Balugaon on NH16. It is one of the best preserved heritage temple in Odisha and a fine specimen of extraordinary artistic excellence of Kalingan art. 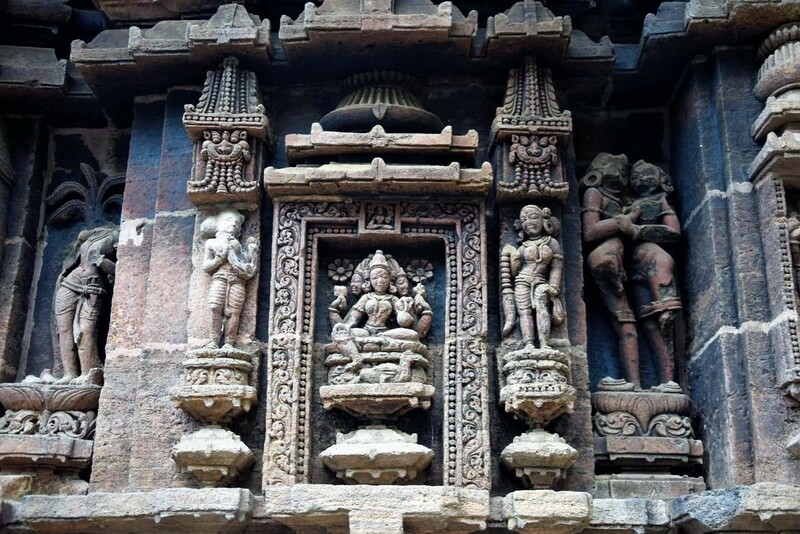 On the basis of architectural features, sculptural embellishments and building materials, the temple can be dated to the Eastern Ganga dynasty rule, during the first half of 13th century. Dakhya means ‘able’ & Prajapati is the Lord of the Creatures. 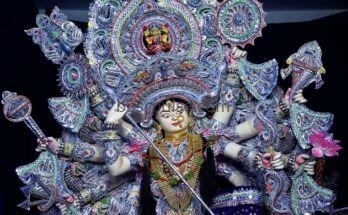 Dakhya is the son of Brahma & the father of Sati (wife of Shiba). 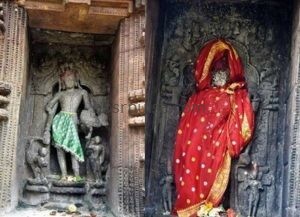 Here Dahkya Prajapati is being worshipped in the form of Lord Shiba as Dakhyeswar, hence the temple is also known as Dakhyeswara Shiba Temple. 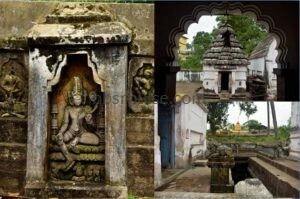 Dakhya Prajapati Temple belongs to the Eastern Ganga Period (11th-15th century), during which the temple architecture and sculpture of Odisha reached its pinnacle. The temple facing east, is situated in a compound surrounded by low walls. The building technology used is ashlar dry masonry and the construction material is khondalite stone. There are four blocks consisting of a vimana, jagamohana, natamandapa & flat roofed bhogamandapa. It’s a living temple as noticed by the intact flag on the top of temple. The presiding deity Dakhyeswar is a patalaphuta Shibalinga within a circular jonipitha. Kathi Thakurani* (wooden deity) is worshipped in the jagamohana. The interiors and ceiling is plain and the sanctum sanctorum reveals some pillars on the backside wall which gives an impression of a pillared room previously existing inside the sanctum. 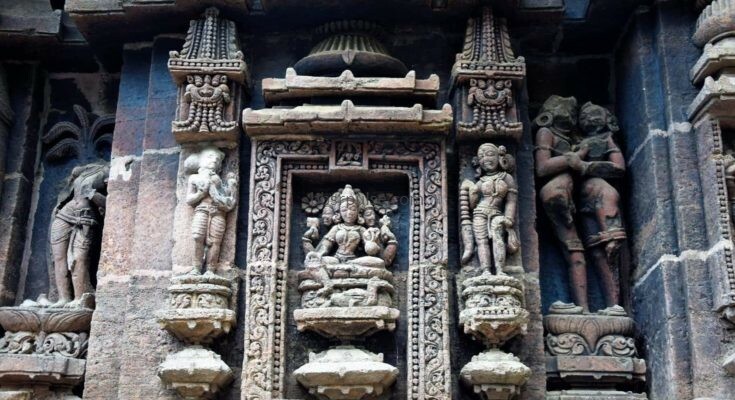 Both the vimana, jagamohana and the natamandapa are pancharatha on plan and panchangabada in elevation whereas the bhogamandapa is an opened pillared mandap. This temple attracts tourists due to its beautiful & well maintained design & sculpture like Gaja-Vidalas, Alasha Kanyas ( decorative nayika figures) & other minor images. The scroll work locally called dali/lata in Odia, is extremely beautiful and varied in design. The Parswadebatas in the niches are Ganesha, Kartikeya and Parbati. Outside the door, Gaja-Laxmi in Padmasana appears in the centre of the upper casing. The eight-seated Dikpalas (Gods of eight cardinal directions) – Indra, Agni, Jama, Baruna, Bayu, Kubera, Isana and Nriti are noticed on the Khakharamundis. Dasavatara (Baraha, Rama, Balarama etc) & Saptamatrikas (Brahmani, Maheswari, Baisnabi etc) are also depicted in the panels. A particular interesting panel shows elephants, cavalry & infantry moving on a war journey. The detailing and attractive work of the temple can be compared with that of Rajarani, Lingaraj & Konark temple. Ther are some more temples inside the complex which were added later on. Budhi Thakurani or Budhi Maa Sa’antani Temple faces north while the different looking architecture (chaitya shaped wagon/barrel vaulted roof) of Budhalinga Temple faces west. And, the Mahabir Temple nearby faces east. 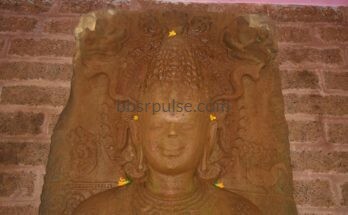 In the right side of the temple compound, the image of Hanuman is decorated with ornaments. He is holding a Gada in right hand and hill in left hand. The movable collections includes architectural fragments, kalasa, mastaka, Laxmi Nrusingha, Hanuman, Abalokiteswar, Hari-Hara etc. Dakhya Prajapati Temple is a Shiva temple, but traces of Buddhism & Jainism can be noticed from the wall images & broken statues lying in the premises. The vimana & jagamohana are the original ones build in 13th cent, but rest have been added by Harichandan kings in 17th century. A mandap was added later on during the British period. 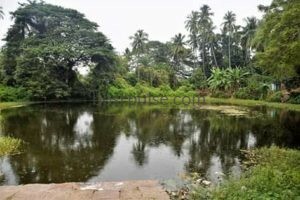 *Kathi Thakurani – Legend says that there was a Kadamba (Neolamarckia cadamba) tree near Dakhya Prajapati Temple. Once when a villager tried to cut it off, it started bleeding. The terrified person immediately stopped his work, but the news soon spread out & villagers started worshipping it daily. And, when the tree died naturally, the King received swapnadesh (order in dream) to shift the tree log to inside the temple. The wooden log is now being worshipped as Kathi Thakurani (wooden deity) with sarees (offered by devotees) wrapped around the log. It’s popularly referred as Bhagabati, daughter of Dakhya Prajapati. 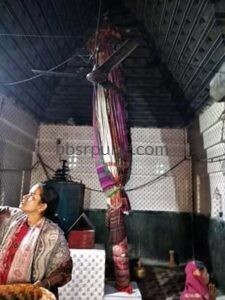 There’s are two more Kathi Thakuranis inside Maa Bhagabati Temple by the name Bhagabati & Birajai (sisters). Kathi Thakurani, as bije pratima is taken out in procession in the streets for nagar parikrama during festivals like Panchudola. A daughter always has a soft corner for her paternal house & yearns to have her favourite food there. Hence everyday prasad is offered to Kathi Thakurani too which includes anna, kakara, enduri, kanti, sarapuli, pakhala, khae & khaja. In terms of architectural finesses and scroll work, I would rank this temple among the top lesser known preserved temples of Odisha like that of Kakudia Gopinatha temple, near Jatani. 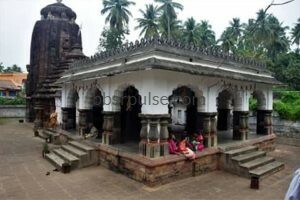 Yet, it is almost an unknown temple beyond Banapur with limited visitors noticed on a normal day, compared to the more popular Maa Bhagabati Temple whose rebuild structure is comparatively new. 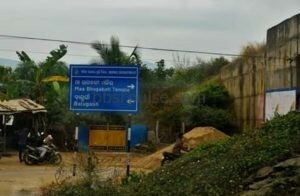 This temple needs proper directional signage and good publicity by existing visitors/devotees so that tourists and other visitors can add it to their itinerary while visiting Banapur. 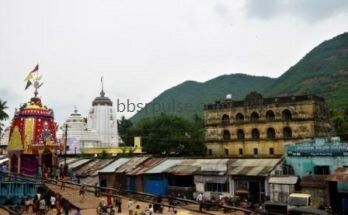 Other nearby sites & locations to visit – Maa Bhagabati Temple (Banapur), Laxmi Narayan Temple with floating stone, Tikarai temple (Durga), Achutarajpur Buddhist shrine, Siddha Bhairava, Narayani Temple, Nirmala Jhara, Khallikote Jagannath Temple, Rambha, Chilika Lake, Mangalajodi bird sanctuary, Salia Dam etc.